When was the last time you went to a dinner party and had a bad time? Seriously... all your friends come together, drink a little, and eat good homemade food. I have always been a fan of this past time but finally have taken into my own hands and become a dinner party hostess. A few tips I have already shared from 'B Gourmet' roll over into this blog but there are a few things you must get down in order to have a successful gathering. To create our dinner party my roommate and I had to brainstorm what would work. Thankfully I had tried a bruschetta recipe earlier in the week and it was such a hit that we thought we could repeat it. Pretty easy process after your master 'parboiling' those tomatoes. Ever heard of the term 'parboil'? I sure didn't... but there's just another lesson to not let recipe's fancy wording to scare you away. Parboiling is nothing but boiling the food for a short period of time. (Level: EASY!) So bruschetta had our appetizer on the way. Then the boys suggested kabobs. Kabobs? Grilled Chicken and Vegetables on an easy serving skewer. (Level: EASY!) It was a no brainer. We marinated the chicken in an easy lemon pepper marinate (from the bottle, we aren't at the from scratch everything point yet.) Another reason why kabobs are so great? They are vegetarian friendly! 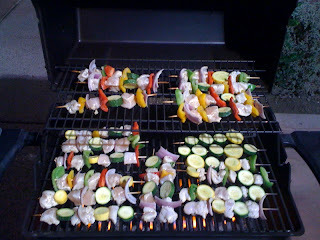 When placing on the skewers skip the chicken and add a few more veggies. We did have a snag in our dinner party of timing. Though I had just come back from a quick day trip away hiking and exploring a near by town our dinner party got to a late start. Our guests came and we were still cooking/beginning to cook. Which brings me to another important point. Have a guest friendly kitchen! I hate those kitchens that are totally in a separate room and no one dares to step in. I say more the merrier! 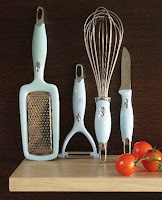 It makes cooking much more appealing for the chef and much more fun. Our guests loved it too. We had plenty of drinks they could mix up and just sit at the table and enjoy our frantic cooking. (3 cooks in the kitchen can get a little out of hand). Another way to keep your guests preoccupied is a few appetizers. I think we have all grown up a bit and learned to love our spinach..... DIP! What a hit and a lifesaver my rooms was for whipping that up before I arrived back home. And soon it was time for the grilling to begin! Everyone gathered around the grill outside and though it was the most aesthetically pleasing set up since we are missing a backyard but it was a great place to gather for conversation and fun. With a few little bumps of just setbacks and much to do in a little time it couldn't have really gone any better for our first real dinner party of 4 plus people. I am already creating the shopping list in my head for more kitchen needs. Isn't it amazing how everything always goes back to shopping? The things I do for a dazzling dinner party! or wine! Who says you don't get anything when you 'wine'? I am a big fan the fermented juice of grapes. I love finding unconventional wine labels and open them with my pink wine bottle opener. Yes I said pink! It is one of my favorite past times to get a group of good girlfriends together and open a bottle of wine. This event just happened to occur last night where each of us brought our favorite cheese. A great way to get you out of your brie rut and try something new. Over my weekend as I happened to visit the Napa Valley cheese plates were a plenty! More creative the label the more likely I am going to pick it up and try it: When I was in Italy a summer ago a winery we visited had a wine called "Fourplay" where their tagline was "It's good for you!" How clever is that? It's be such a great conversation starter.. 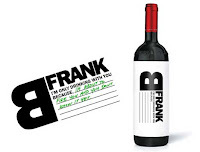 I also found a great wine named "B Frank" (you think they've been reading my blog?). But on the label you finish the phrase "I'm only drinking with you because..." I have to find a case of this for my next dinner party! Buy a cute wine bottle topper: shoes! cities! phrases! monograms! Bottle toppers come in all different types and sizes and you have no reason to have an ugly bottle topper. Think of the bottle of wine as an accessory for your table. Would you put a ugly hat on after working hard on your well put together outfit? Say cheese: It is amazing how much science is involved in wine and food pairings. Certain foods bring out certain tastes in the wines which a great thing to research before a dinner party. 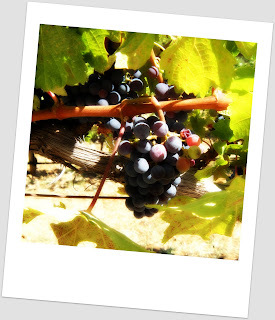 Go here to learn more about what wine to pair with your food of choice. Although I do have a strong idea that wine goes with everything regardless! So there you have it. We may not be sommeliers but go and have a good night and relaxations with some red, white, rose whatever you'd like.. There are also jobs that are circulating on the network for opportunities to help companies get more involved in "Internet 2.0". This is a great opportunity for those that have caught up on the trend of Facebook, Myspace, Twitter and of course Blogging! Companies who have been around for years need help to make that transition to the digital world. These sites can also help you promote your own ideas and businesses. Being an entrepreneur has never been easier! Sneak Peak: Blog to come about how my $20 gift card to West Elm is finally putting my redecorating project of my bedroom into action! Being anxious is typically not one wants but when you're anxious for something as good as Tory Burch's new eyewear collection, how could that be a bad thing? I am a huge fan of Tory Burch. 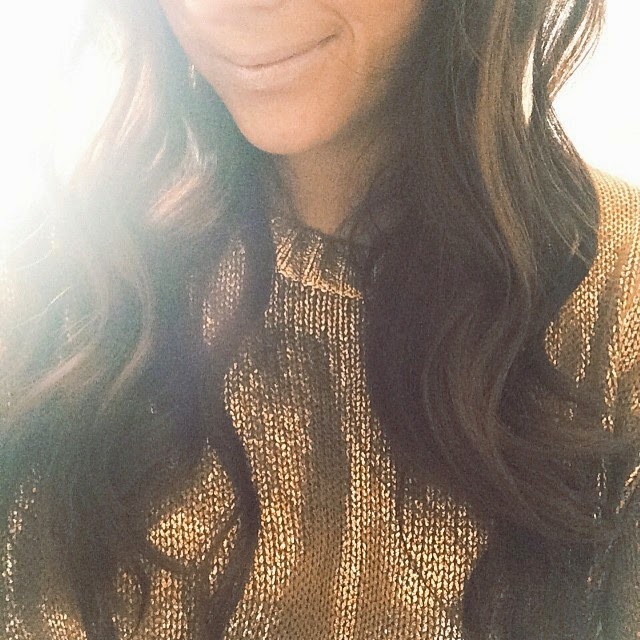 I am a fan on facebook, follow her twitter (@torybuch) and drool over all her bags and shoes. And when Tory Burch just 'twitpic'd' the picture above of the fashion shoot for her new eyewear I got so excited! Last quarter in school I did a marketing project on Tory Burch the company. It gave me great insight on how Tory has been ahead of the fashion industry. 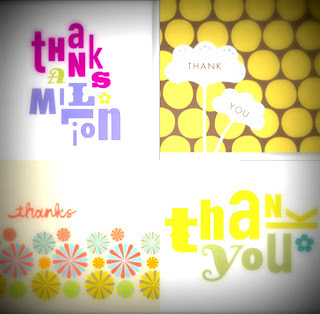 She was quick to jump on the social networking platform with some other designs and is very socially aware. Last Presidential election she created cute tote and t-shirt saying Obama with her signature T Logo Medallion. Tory Burch is a talented designer and someone to keep your 'eye' on (pun intended). Stay tuned for when Tory Burch eyewear collection enters stores. Guaranteed that will be a shopping trip I won't be missing! This romper had a pinstripe halter top with a deep v and gold buttons with a high waisted navy shorts. I am so sorry I can't provide a visual but hopefully I will be able to get back to Anthro this week and make the purchase that I can't get out of my head! Oh and I should probably get those hooks I really do need... Meanwhile check out my white dress I purchased above and of course as Carrie says "you know I'll merchandise it up with some shoes" belt, earrings, bag! Gotta love accessories!